Legislative Aides shall assist Senators as needed in the Senate Chamber, during committee meetings, draft Legislative Aide reports after each Senate meeting, and compile research for proposed measures as requested. The Program will consist of 45 Legislative Aides, who will either be paired or participate in monthly workshops and meetings. 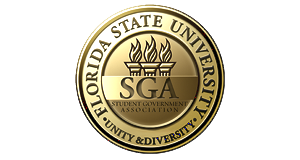 This program will help serve those who see a future in Student Government's Legislative Branch and have a passion to serve the Student Body.